How Should You Cook Fish? Fish is a nutritious and delicious food that most people just are not getting enough of. If this is because you don't know how to cook a fish, or all the possibilities there are to preparing it, then you have come to the right place. There are a few fish basics you should know first off, such as the difference between a steak and a fillet. Then you can step up to the grill or the smoker and make a great meal that your family will love. Of course, it is an over generalization to lump all kinds of fish together. Since the cooking techniques are basically the same let's leave Halibut and Catfish together and let you decide which one you prefer. For purposes of this section, when we say fish, we don't mean shellfish. This article will only discuss the kind of creatures that swim, have fins, etc. 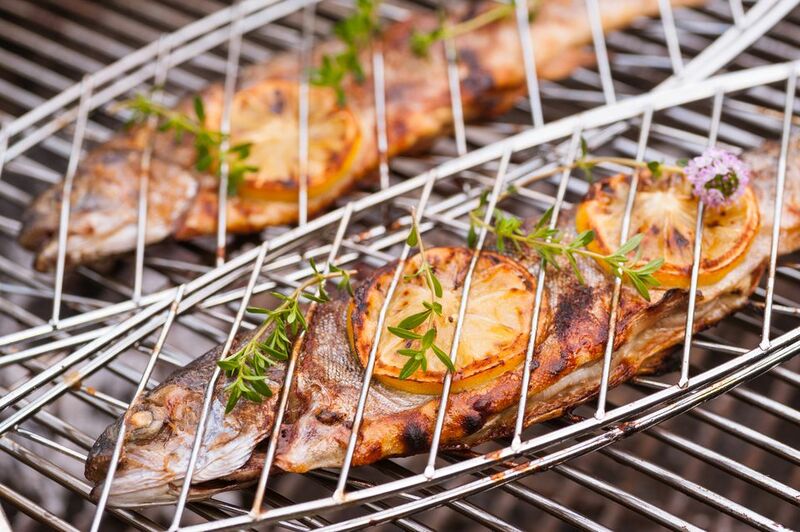 Cooking a whole fish out on the grill, whether it's the backyard, on the beach, or in the mountains, is fun and easy. Keep the grill very hot, brush some lemon juice over the fish while you are grilling and take it off the fire right when the meat is flaky and tender. The aroma and flavors will bring everyone to the table with a healthy appetite. The real secret to great fish is timing it, so keep a close eye on it and you shouldn't have any trouble. There are not many things in this world you can put in your mouth that are better than smoked fish. The low and slow way of cooking, lets the fish absorb the smoke flavor and enhances the whole experience. It also turns any fish into a flaky piece of heaven. Not only does smoked fish make a delicious meal, but it also makes a great ingredient. The versatility of smoked fish is endless and since it is so easy, you won't need to buy smoked fish anymore. Any search of the internet will tell you about the versatility of fish. There are thousands of recipes out there.